More than a year after its release, it seems the world, and the internet in particular, still hasn’t tired of Mark Ronson’s “Uptown Funk.” Not only is the song funky and infectious, it also really lends itself to video mashups. 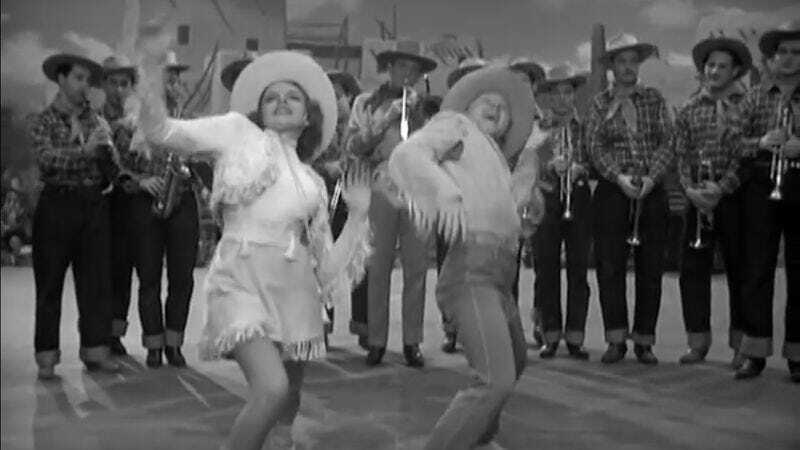 We’ve already seen it being sung by the movies, and being matched up with 100 different dance scenes, but this latest video, which was put together by Nerdfest UK, proves that “Uptown Funk” is actually timeless by synching the song up with dance scenes from the Golden Age of Hollywood. Fred Astaire and Ginger Rogers, Shirley Temple and Bojangles, and the Nicholas Brothers are all featured putting their best foot forward to one of 2015’s biggest hits. What’s really amazing about this video is how well “Uptown Funk” works with these old dance numbers. It feels like they were made to go together. A large part of that is clever editing, but, as Slate points out, it also has to do with the fact that many of the Golden Age stars were fans of hot jazz, the forefather of funk.